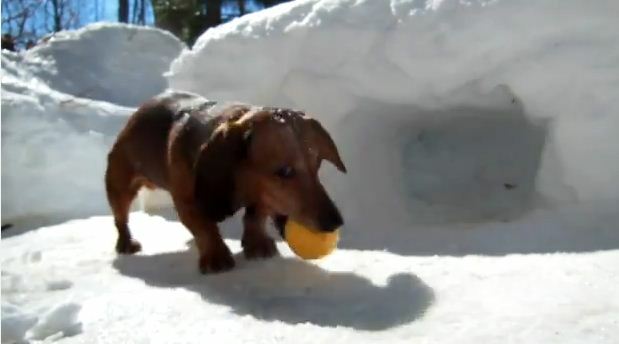 Adorable Dachshunds Play Hockey Like The Pros! Spring is almost here. But there may still be some snow around. But before Spring comes, we found out that a lot of dog owners have made the most out of all the snow that fell. We saw that amazing snow maze that one dog owner built for his dog. And there’s even that guy who went snow sledding in the streets with his Huskies! Now wasn’t that adorable?! It definitely made me smile today! This is just too cute not to share! Share this cute video with your friends and family!